Renaud Pellegrino imagines and realizes a wide range of luxury handbags since 1983. A craftsman but also an artist, he has always been passionate by art, colors and textures which he mixes with boldness. His crafts are in its image, elegant, curious and generous…for 35 years. 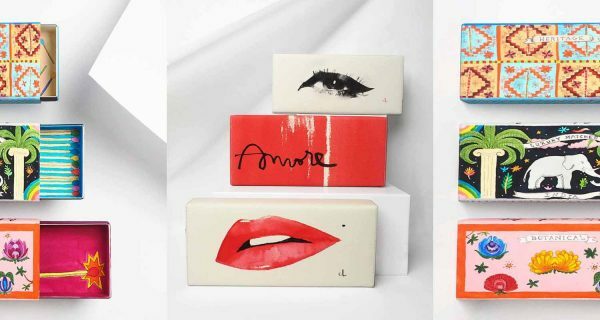 In occasion of this special anniversary date, the French luxury Maison presents 35 Ans, an exclusive collection that has appealed the creativity of 11 talented illustrators and artists from all over the world. PELLEGRINO gave them carte blanche… in the proper sense (!) for them to revisit one of the brand’s iconic styles Julia, an elegant evening minaudière whose shape evokes a match box. No creative direction has been imposed so that the artists could let their imagination, pencils and paintbrushes freely express…and immerse each of them in a different universe. Special thanks for the participation to the project: Marc-Antoine Coulon, Megan Hess, Jordi Labanda, Blair Breitenstein, Hala Salem, Damien Florebert Cuypers, Kera Till, Suwa Im, Hiroshi Tanabe, Yann Paolozzi, Sacha Floch Poliakoff. The 35 Ans Edition was presented in Paris on January 17th and available on exclusivity at the PELLEGRINO Store, 8 Avenue Victor Hugo, 75116 Paris.